We make software that understands how governments run. 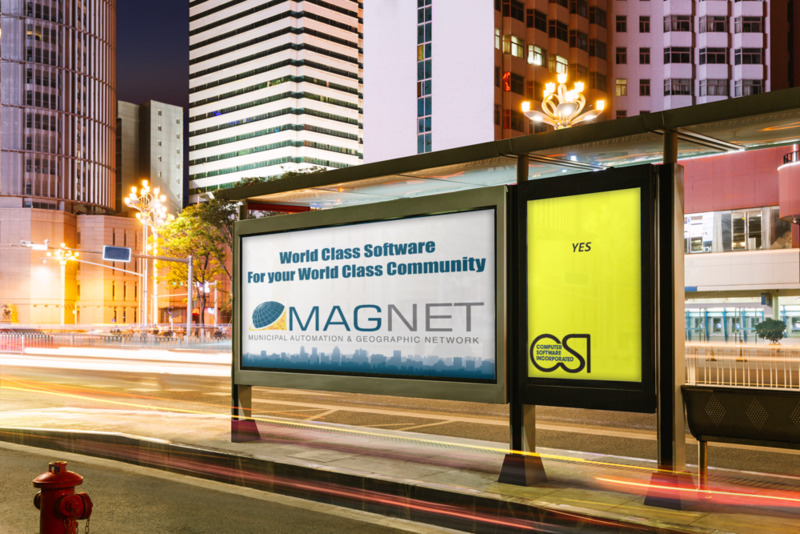 MAGNET municipal management software enables local government employees to deliver the service that today's constituents demand. From the Mayor, to the Council, from the town manager and desk clerk, to the inspector in the field, all these stakeholders require an economical application that incorporates all their departments into a single, simple-to-use configurable Cloud-based solution. Permiting, Planning, Code enforcement, Inspection, Housing and Licensing, Computer Software, Inc. and MAGNET have you covered. Find out about our company, our mission, our methods, and the results of our decades of development and refinement. Ready to take the next step? Contact us today. No pressure, no hassles, just a real live person ready to explain how we work and what we offer Municipalities just like yours.